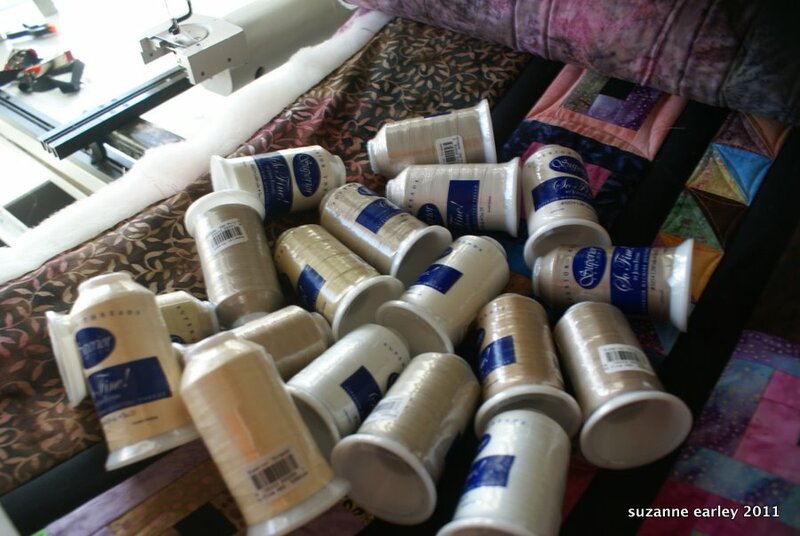 I have lots of lovely brightly colored thread, but it’s the neutrals, the whites and creams and tans, that make things go around here. Boring? Possibly — but lovely, nonetheless. Look at all of the possibility in that pile of thread. it wasn’t until i started longarming that i realized how beautiful a neutral thread could be! and there’s such a wide variety of neutrals out there too! This is my favourite thread order. I go through kilometres of this stuff and order it in bulk just like this. The difference from one reel to the next is subtle on the cone, but enormous on the quilt.